We all know Valve is trolling us about Half-Life 3 by now, and the common argument tells us that if they ever did release it, after all this time, it’d never live up to the hype. It’s just bad for business. But would we really want it, at this point, anyway? On the other hand, there’s WarCraft 4. Blizzard hasn’t really been trolling us on this one the way Valve has – a sequel to this franchise is expected as though it were part of some natural progression. Again, this comes down to a business decision. Blizzard wants to dominate e-sports, but right now StarCraft 2 is filling the RTS slot in this regard, while WarCraft will be juiced for its MMO potential as long as they can get away with cranking out new expansions using the same engine. 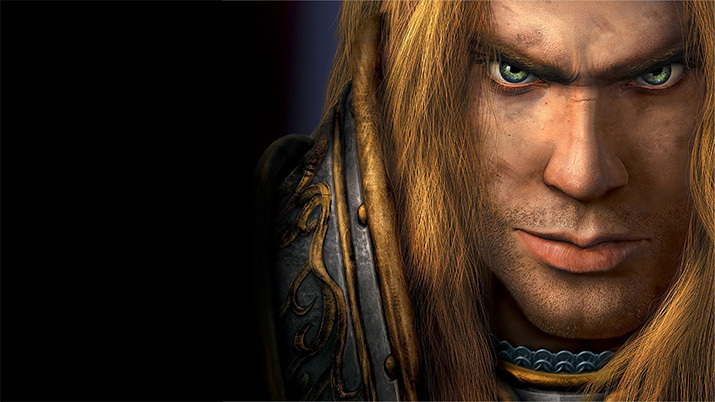 But the frustrating thing is, WarCraft 4 would undoubtedly live up to its name and please fans. Don’t get me wrong, there basically isn’t a bigger Half-Life fanboy than me. I still remember the unprecedented excitement I felt at a young age when my friend and I played the opening level of the original Half-Life and jumped in fright as an alien suddenly warped into view with an impressive display of green lightning bolts. I immediately started saving up $300 to buy my first video card (the now-ancient Voodoo3) in order to pack my harddrive to the brim with Half-Life and begin my epic journey. It was, and still is, essentially, the original sci-fi thriller. I even go back from time to time and replay the original, plus all of its expansions, then greedily marathon through the sequel and all of its episodes. Half-Life 2 was just as groundbreaking as the first with its now-legendary gravity gun and experimental physics. The world was polished and beautiful, and though many say it took so long to make that it was basically outdated by release time, I still stand by it. But here’s the thing: Half-Life was groundbreaking because of its mystery. Would you really want to get the whole story on G-Man and have Gordon Freeman’s tale come to an end? I, personally, would rather let my imagination run wild and get my fix by playing awesome fan-made mods like Nova Prospekt and They Hunger. This is almost certainly why the Half-Life 2 episode expansions contained little in the way of plot revelations, and for good reason. Blizzard takes its time with franchise sequels and seldom, if ever, disappoints. I am showing my age when I say that, in my glory days of gaming, I would lug the terrible Sam’s Club-bought rig — which I got second-hand from my parents — to LAN parties, set up a tangled web of CAT-5 cables, and play eight-hour games of Age of Empires II (— and own, I might add). WarCraft 3 was a revolutionary addition as soon as someone got their hands on a copy and brought it along to one of these nerd-fests, and to this day I still watch pros play it on YouTube. Blizzard has a talent for taking quintessential ideas from our culture and boiling them down into beautiful models, chunky rounded edges, and vibrant colors, all for our entertainment. They take successful themes, cut out the fluff, and make them better. Then, they make a sequel, and it blows us away all over again. StarCraft 2 was something nobody thought would ever come out, then it did. It destroyed the hype by being more than we imagined. With each expansion, the story got better, the races got more fun to play, and the eye candy increased. The same would undoubtedly happen with WarCraft 4, but it just isn’t a priority for Blizzard. In the end, companies will do what they can to make money, and we, as fans, don’t have a lot of control over that. We can only hope and wish, but be careful what you wish for – in an alternate universe, Half-Life 3 has likely been relegated to the vast ranks of disappointing sequels, even though WarCraft 4 is probably killing it.